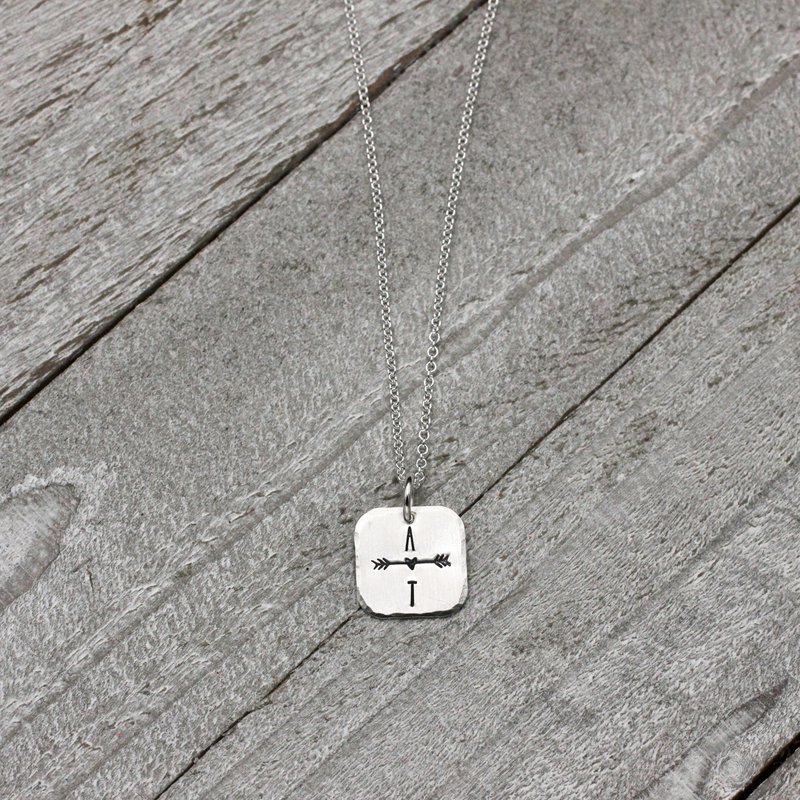 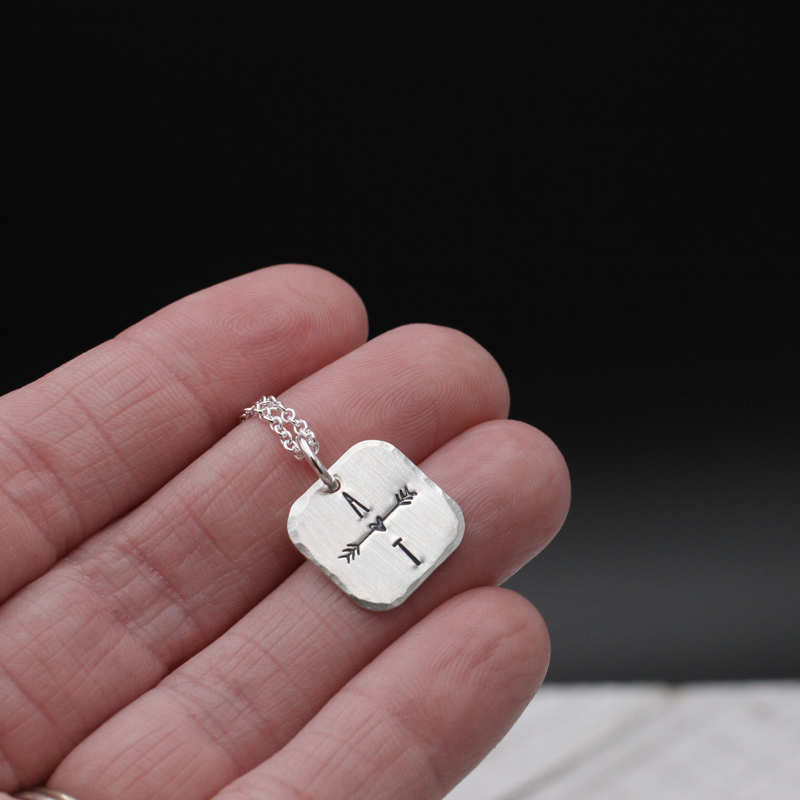 This sweet love necklace was created by stamping a heart arrow flanked by two initials by hand onto a little sterling silver square. 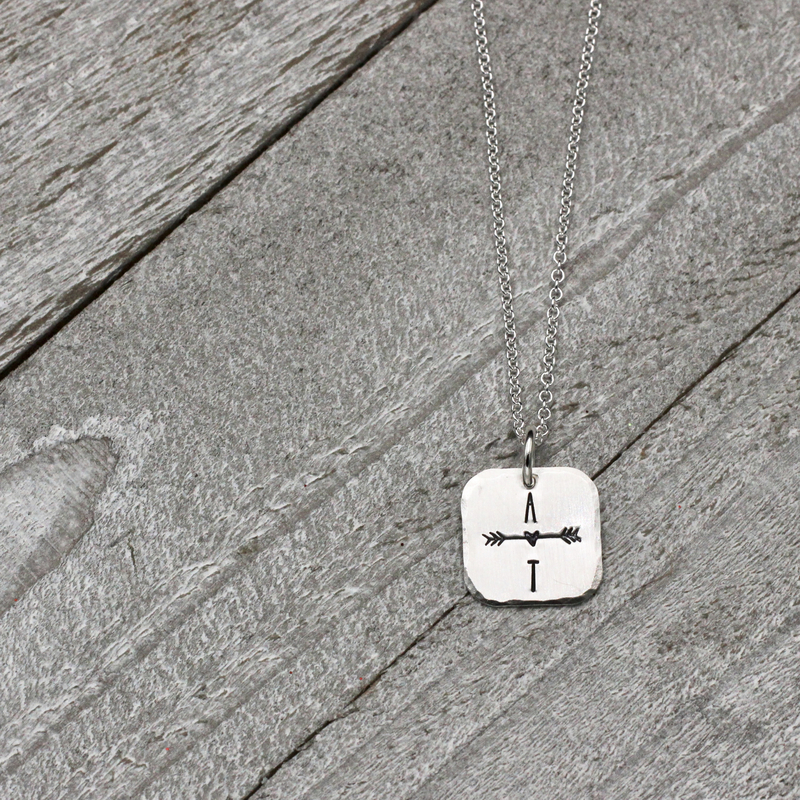 This necklace can be personalized with the 2 initials of your choosing. 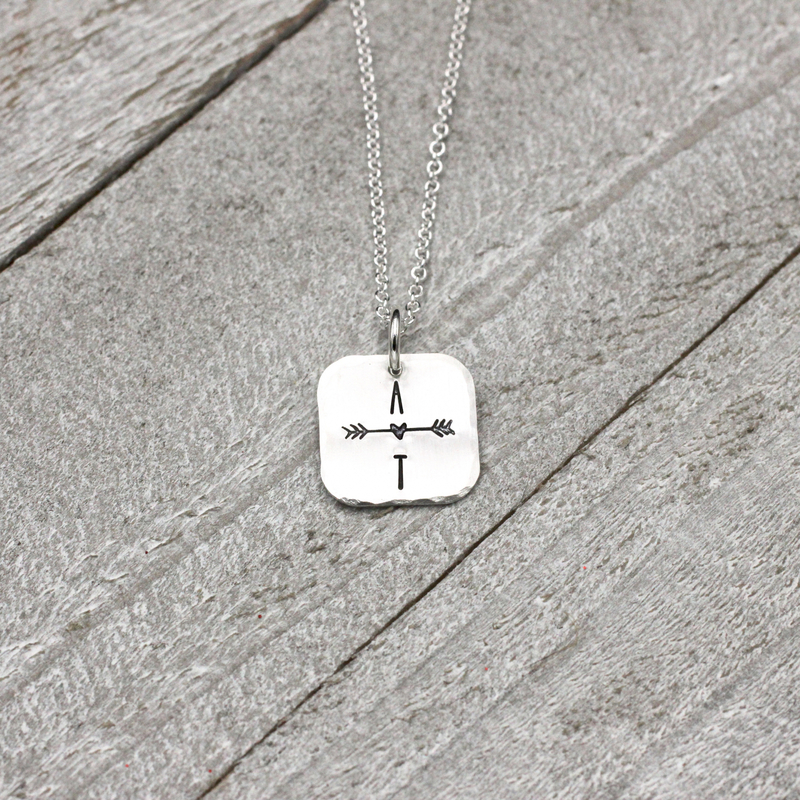 This is a small, sweet, and delicate necklace. 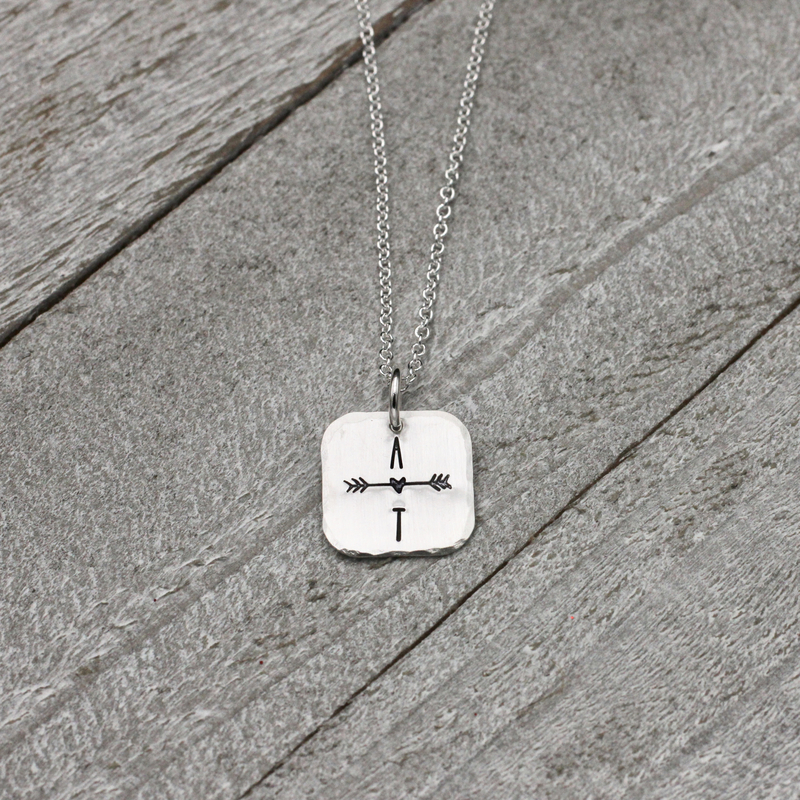 The square measures 14mm in width.